Using Data Table we can work with Flat files, Excel files and Database files. Using VBScript Automation Objects we can work with Flat files, Excel files and Database files. Note: We insert Programmatic statements in order to overcome some limitations of Tool features. It shows syntax errors automatically while saving the Test. It is process of generating steps for every user action AUT and storing objects information into Object Repository. 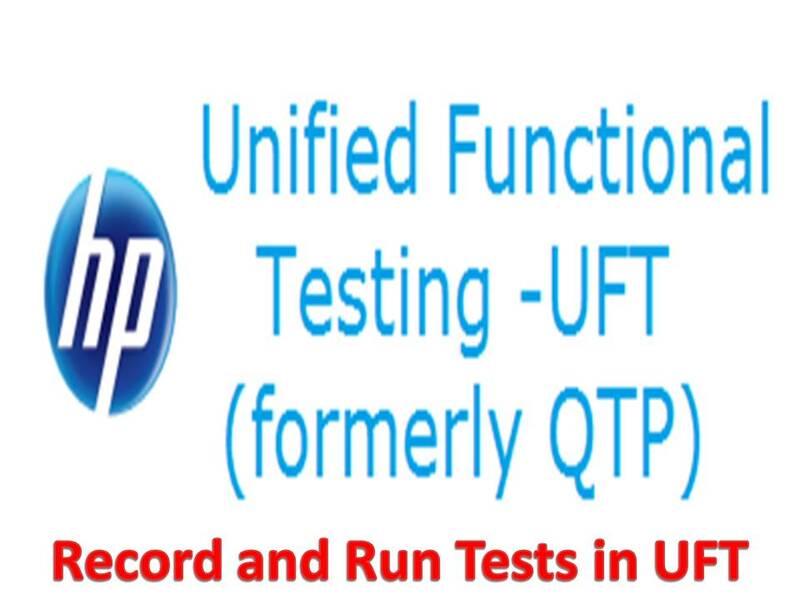 ii) UFT stores Objects information in to Object Repository. It is unable to record user continuous mouse operations. Note: Without selecting Normal recording mode we can’t select other recording modes.